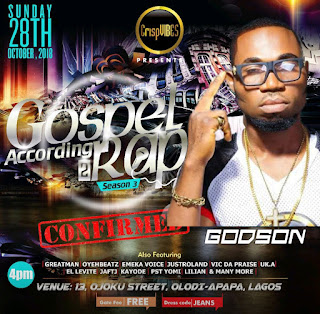 Godson is a Raptivist, Faith projector, Humanitarian, Motivational speaker amongst many things. He his one rapper you need to hear! Godson will be Joining us come Sunday 28th October 2018 by 4pm. You Don't want to miss it!